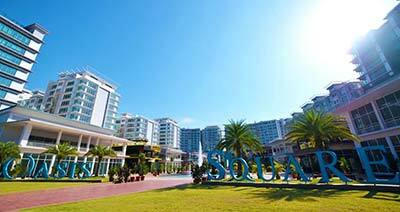 Located within Oasis Square and across the road from the Saujana Golf & Country Club, Oasis Capital Towers comprises of 5 blocks of shop offices spanning 12 storeys high. Sizes range between 600 square feet up to 1,800 square feet. With 5,000 car park bays in total and 24 hours security, Oasis Capital Towers offers affordable office suites suitable for various industry players. The upcoming Ara Damansara LRT station will improve connectivity to public transport. This development is also well connected and easily accessible via many major highways and expressways such as the NKVE, LDP, KESAS, NPE, Federal Highway and the North-South Highway.